Out now on the Mac App Store! 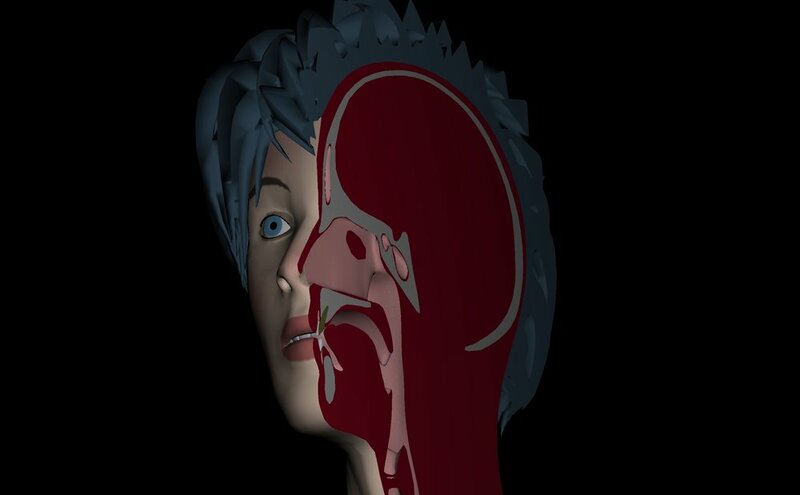 SpeakingHead allows you to look inside the head during the articulation of speech. Simply input words or phrases using the International Phonetic Alphabet (IPA) and SpeakingHead simulates the movement of lips, mouth and tongue. 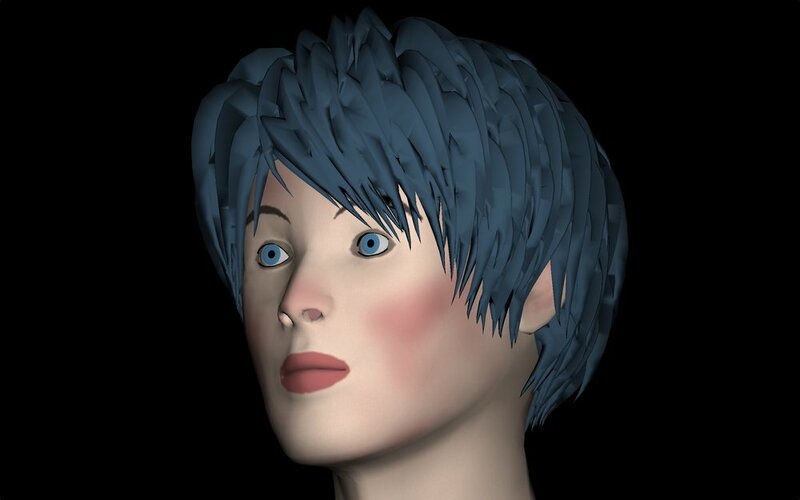 Slice the 3D model at any angle and see every detail of the articulation process. Save the perspectives you like best for quick access and export images of the model for your own use. Control the duration and articulation strength of every letter / phone. Articulation strength captures the difference between a pronounced articulation where the mouth is opening wide and the facial expression is strong and a low effort articulation where the movement of mouth, lips and tongue is minimal. Import short audio clips to play back during the animation. 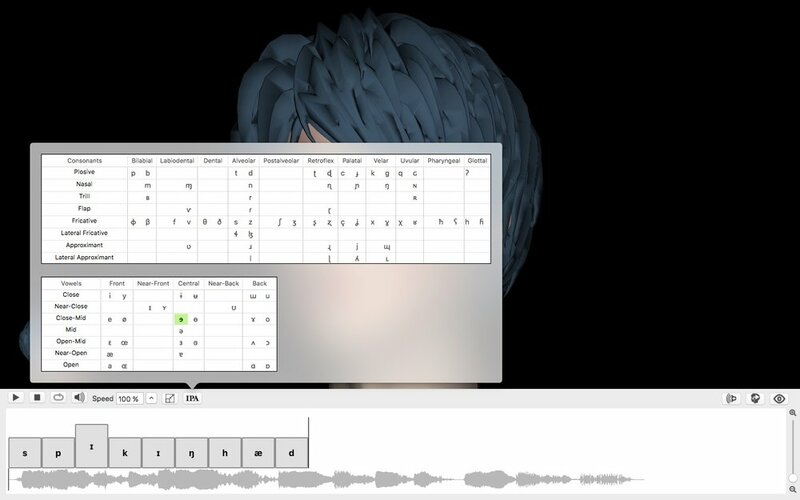 Transcribe the audio and see if you can match the animation. You can zoom in and out of the timeline to inspect smaller timescales.